As an educator I strive to support students to achieve their individual learning goals by bringing into all areas of my academic responsibility my teaching philosophy that focuses on creativity, adaptability, professionalism and respect for diversity. I have the ability to develop scholarly and innovative approaches to teaching and learning. I couple this with my emerging research capabilities; my strong interpersonal and communication skills; and my experience in creating supportive, adaptive learning environments that help students reach their learning goals. In 2013 I joined the Queensland College of Art, Griffith University after an extensive period teaching and researching at Queensland University of Technology. The information below provides a summary of recent grants and teaching commitments. KAIST CENTRE FOR CREATIVE ENTREPRENEUR (IP-CEO). PROGRAM LEAD & CONSULTANT, 2017. GESTURE, CREATIVITY & DESIGN GRIFFITH CENTRE FOR CREATIVE ARTS RESEARCH GRANT, 2016. I encourage all design students to undertake professional work placement during their degree. Since 2013, Product Design students have worked with the following industry partners (listed alphabetically). "Engaging with a critique of technology and its effects was consistent with the Design Futures thinking established throughout this degree, which was beneficial. The design process was also another heavily emphasised component which was good in improving our skills in this process." Student feedback, 1st year class 1510QCA Digital Technologies, Semester 2, 2014. "This course was a great introduction to web design, with tutorials to help us learn html and css. The assignments were well put together and using a real issue such as homelessness enabled us to use our new skills while learning and understanding issues in our society." Student feedback, 1st year class 1510QCA Digital Technologies, Semester 2, 2014. "*She treats each student with respect. *She helps to motivate students to attend events outside uni. *Always aware of current trends. *Great listener. *Goes out of her way to help students." Student feedback – 3rd year class, Semester 1, 2014. 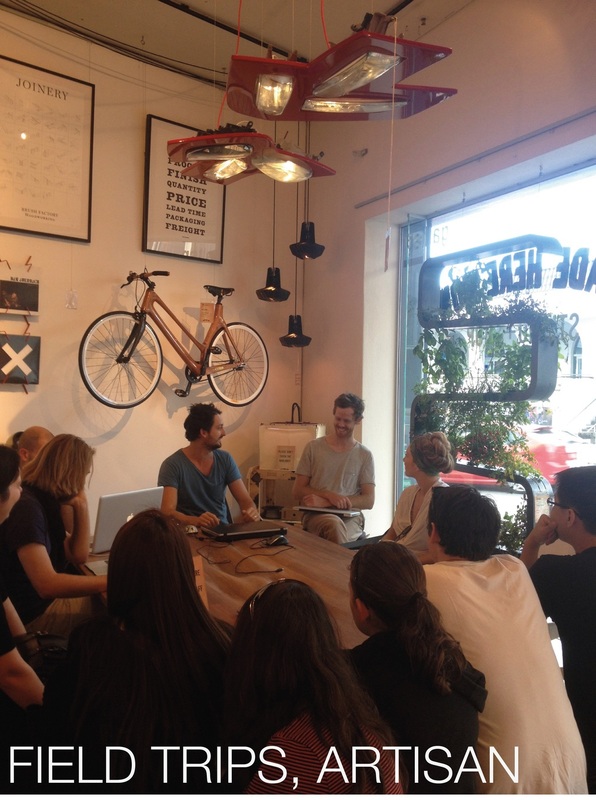 "Good knowledge of content, brought in practicing designers to share their experiences, very interesting. Excellent feedback on assignments, really helped to guide us in the design process and refine our practice. Very approachable and professional." 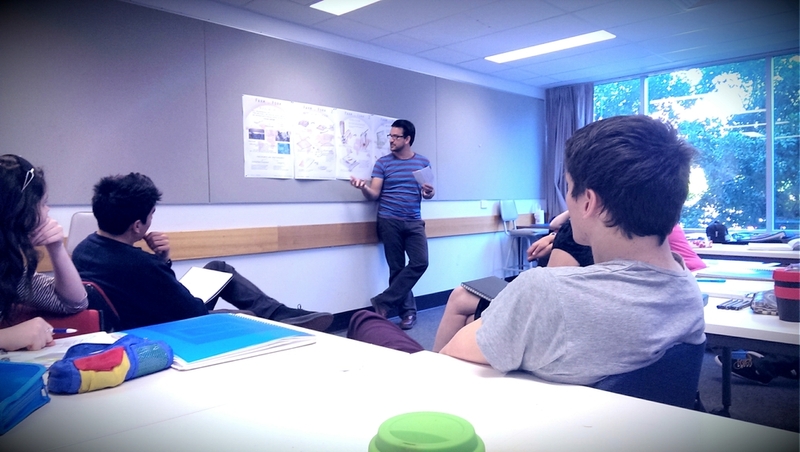 Student feedback – 2nd year class, Semester 1, 2014. "Beck's background knowledge brought interest and context to what we learning in class. She was approachable and answered any questions that arose whether to clarify information or assist in an assessment. The flexibility of the class also helped to make a positive learning environment." Student feedback – 1st year class, Semester 1, 2014. "I really appreciated how Beck's enthusiasm for the topic shines through, this in its self aids my learning. Beck is brilliant at providing feedback, but also a great role model to discuss topics with; she has an inspiring insight towards the design profession." Student feedback – 1st year class, Semester 1, 2014. "Beck's unbeatable enthusiasm and incredible knowledge of the product design world is what motivated my learning the most." Student feedback - 2nd year class, Semester 1, 2015. "Beck gives a huge amount of feedback on her grading sheets (much more than any of my other tutors have done.. ever) and is great at keeping students engaged. I think the fact that she has a really encouraging and enthusiastic approach to teaching, while also being able to give critical feedback when needed is an amazing skill. I really respect her and work hard because in a way I don't want to disappoint her, and this means I learn a lot in her classes. She is definitely my favourite tutor that I've had teach me during my time at Griffith." Student feedback - 3rd year class, Semester 1, 2015. "I find this staff member is always well organised and respectful to the students with a comprehensive knowledge of the subject area. Her knowledge of the industry and professional contacts has added a much greater depth to the subject area. I appreciate the clear and comprehensive feedback that is constantly given to guide work and assessment pieces by this staff member. I always find this staff member very approachable and willing to assist and extend students in their learning and experiences." Student feedback, 3rd year class, Semester 1, 2015. "The opportunity to have guest speakers within the industry share their experiences was interesting and highly beneficial. Having a real client for the assessment tasks gave a different level of feedback and helped to generate a greater depth to the project. The clarity with which the assessment pieces are organised and opportunities to develop these with feedback from a variety of professionals within the industry was highly beneficial to the development of the project." Student feedback, 3rd year class, Semester 1, 2015. "Beck is a great teacher, her passion for design and learning are very apparent. Her enthusiasm and encouragement for student learning has allowed for me many opportunities to challenge and improve my design learning experience. Her use of social media - tumblr to connect us with information has been valuable and a great way to encourage others outside the discipline to how the product design degree is operating and for students to easily access information." Student feedback – 3rd year class, Semester 2, 2013. “Beck is most probably the most dedicated, organised and proficient unit organiser/tutor that I have had in my 3+ years at QUT. If all of my units had have run as smoothly as this one (in terms of timely feedback, communication and organisation, I would have had a lot less to complain about! She is also highly considerate of her student’s wellbeing (in and out of university studies) and this is something that I value but have not witnessed all that often from other teaching staff.” Student feedback – Work Integrated Learning.